If you’re looking to enrol your child at any of the top-notch schools in Lekki Phase 1, then you should read this post. This page provides detailed information about the best five schools, and there is further listing of some other great schools. Here we go..
Lekki British School is made up of a pre-school, junior school, high school and advance studies. The school is the first British boarding school in Nigeria. The school was established in 2000 with the goal of enabling every child develop and discover their unique talent within a disciplined and traditional caring British environment. The pre-school is a foundation for children from 15 months to 5 years. The curriculum is a play-based curriculum which creates play opportunities that enable children learn. The children are taught by a skilled workforce and the3 prime areas of learning are communication and language, physical development as well as personal, social and emotional development. Also, there are 4 specific areas that enable children become self motivated learners. These include mathematics, literacy, understanding the world as well as expressive art and design. 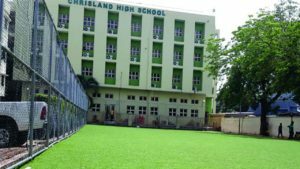 Chrisland School, Lekki is one of the offsprings of the reputable Chrisland family. The school is divided into several parts. 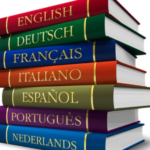 They are: pre-school, elementary school, secondary school, International Baccalaureate Diploma. The school was established in response to the ever increasing educational need and demand of the Nigerian society and the world at large. Chrisland is a co-educational school that runs the Nigerian/British Curriculum. The school aims at educating young learners between the ages of 2 and 11 years, impacting them through creative and modern methods of teaching to deliver an all-round education. Chrisland School, Lekki was set up with objective of raising a total child who is armed with creative, innovative skills and kept in tune with global trends to become problem solvers who with time will be relevant to their immediate environment and the world at large. The school has a team of seasoned and passionate members of staff who are committed to keeping the flag of excellence and impactful education flying. Overall, the rich, warm environment with the availability of the best of the 21st century state-of-the art facilities delivers the perfect combination to train children in the way they should go. 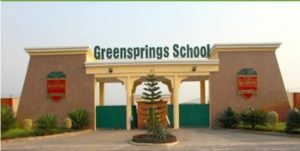 Greenspring School is another top class school located in the Lekki Peninsula. The school is divided into several parts: pre-school, elementary school, secondary school, International Baccalaureate Diploma Programme. The school is an independent, non-partisan, day and boarding school for boys and girls from 18months to 18years. Founded in 1985 in the heart of Anthony Village, Lagos, Greenspring has grown over the year and has added another state of the art campus on the Lekki Peninsula in Lagos. 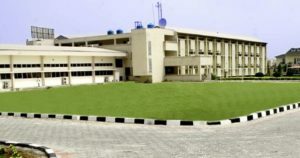 The Lekki Campus was opened in 2005; this was specifically built as a fit-for-school purpose to meet the ever-changing needs of 21st century education. The campus has over 1400 pupils from pre-school age through to IB Diploma students (2 yrs to 18 yrs). 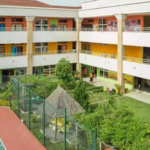 Great boarding facilities cater for approximately 400 students – mostly of secondary school age – in a caring environment, complete with 24 hours operational health clinic within the Lekki campus. The school is located along the Lekki/Epe expressway, close to the Lekki free trade zone and the new Dangote refinery. The Lekki campus offers-spacious and learning friendly classrooms, well equipped science laboratories, specially designed rooms for art, music and life science; to ensure a well-rounded education for the students. Also, this campus has the following in-place for sports and recreational activities: swimming pools, athletics track, basketball courts, football pitches and tennis courts, all set in a safe and secure school environment. The Greensprings Community places great value on character and moral education as well on academics achievements. The school’s unique education ensures that boys and girls learn in the words of our school song. 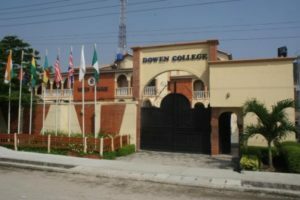 Dowen College is a co-educational Secondary School offering both day and boarding facilities. The School was founded on the 6th of October 1997 and located at No. 18, Adebayo Doherty Road, Lekki phase 1, Lagos, Nigeria. The School offers both the Nigerian and British Curricula. The school was set up with the vision of ensuring that every child that passes through Dowen College Lagos develops to be the best. This is done by releasing the innate potential and the untapped leadership qualities of the students, ensuring that they discover their personal purpose and destiny. At Dowen College Lagos, the students are at the center of all activities and this ensures that the school produces balanced global leaders. In the last 20 years, Dowen has produced several excellent individual. For instance in 2017, Ene Nnenna (Class of 2017) had 9A1 in her WASSCE. Also in 2010, Buraimoh Obaseyi Daniel from the class of 2010 was the first Nigerian to graduate with a First Class Degree in Computer Science from San Francisco University, U.S.A.
Meadow Hall School is made up of an infant school, a junior school and a college. The school was founded in July 2002 and offers a combination of the British National Curriculum and the Nigerian Curriculum. At the Infant School, the school offers the British Early Years Foundation Stage Curriculum with excellent links with the Nigerian Curriculum using some Montessori principles and resources. The site-based curriculum ensures a smooth flow from the Early Years in Infant School to Year 6 where the Junior School curriculum culminates. At the colllege level, Meadow Hall is made up of a team of graduate specialist teachers with vast experience in both the British & Nigerian curricula. Children International School: Plot 8, Funke Zainab Usman Street, 3rd Roundabout, Lekki. 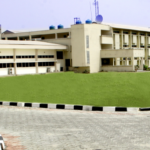 Edidot College: Awoyaya Campus, Opposie Eko Akete City, Lekki-Epe Expressway, Awoyaya. Whitesands School: Block 140, Whitesands street, Lekki.